In a world where our kids know how to use our portable technology better than we do, it’s good to know somebody’s looking out for their health. In the case of Griffin Technology, Inc., it’s their hearing that’s being monitored with new MyPhones volume limiting, over-the-ear headphones. 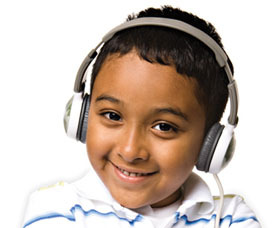 Comfy and customizable for kids aged three to 12, these headphones will let you safely keep your children busy with iPods, iPhones, portable DVD players, gaming consoles and other time consuming tech when you need it most (think airplanes and doctor’s offices). The volume limit of these headphones is 85 decibels, which is the level that pediatric audiology and safety agencies suggest as ideal for little ones. It’s also suggested you give them a break at least every hour or two to keep ears protected from damage. Though not the first to come out with this technology specifically for children (See Good for Your Soul, Bad for Your Hearing) Griffin thinks its design and flexibility makes them unlike the others. 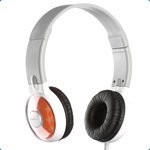 The flexible design comes with soft, rubber ear cushions and an adjustable band, while the shell caps are removable and be interchanged with three different design inserts. And if they’re really creative, kids can use the inserts as a template to draw their own by going to www.myphoneskids.com, where they can upload their own designs or download others. And did we say creative? The packaging of the MyPhones can be used as a plastic carrying case for the headphones and an iPod for easy organization.